know that was the key to longevity. 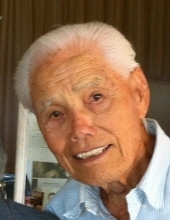 As he often looked back on his life, he realized God blessed him abundantly, and he would say, “I have no regrets.” Henry is survived by his sons David (Priscilla, deceased), Dean, and Dennis (Brenda) Kaneshiro; daughter Diane (Richmond) Ching; sister Sueko “Sue” or “Amy” Uechi; grandchildren Cyndi Kaneshiro, Daverine (Steven) Timmons, Stacy (Craig) Okutani, Deanne (Todd) Muraoka; Candace (Aukai) Pruett, Nikki, Kelsey, Elijah, Tabitha, Elisabeth, and Esther Kaneshiro; 17 great-grandchildren; and 8 great-great-grandchildren. He was preceded in death by his parents and brothers Tokue “Paul”, Tokukchi “Jimmy”, Yonoichi, Hideo “Hide”, Matsui “Matsu” (Nancy), and Hiroshi “Hiro” (Tetsuko) Kaneshiro. Memorial services will be held at the Honolulu-Japanese Seventh-day Adventist Church at 2655 Manoa Road, Honolulu, Hawaii on Sunday, June 24, 2018 at 6:30 pm. Doors open at 5:30 pm. Dinner to follow. To send flowers or a remembrance gift to the family of Henry Tokuichi Kaneshiro, please visit our Tribute Store. "Email Address" would like to share the life celebration of Henry Tokuichi Kaneshiro. Click on the "link" to go to share a favorite memory or leave a condolence message for the family.